Keen followers of the Powder Project instagram account (@thepowderproject - it's good) will no doubt be wondering, "Who's that guy in the orange jacket?" It turns out he's my brother, James. Not only is he ruggedly handsome, he's a good ski touring partner and we've done a bunch of good trips together in New Zealand and Japan. He's basically the perfect photo model. At least until we can afford pro skiers. Before I left for Japan last winter I put the word out to everyone I knew: If you're thinking about heading to Hokkaido, let me know and I'll help sort you out with a fun trip. An old school buddy of mine named Anthony (Anto) took up the offer. He was in Australia visiting family before heading back to the US, where he's been living for a few years, and was swinging through Hokkaido on the way. We had plans to roll around for a week or so chasing good snow, but some visa delays meant that Anto had to push his flight back and ended up with just three nights in Japan. For a lot of travelers, trying to get decent skiing on three night stopover would be almost more trouble that it was worth. After you've caught trains and buses and found rental gear and checked into you accommodation, and then done that whole process again in reverse, it doesn't leave a lot of time to ski. So just how much can you do with three nights in Hokkaido? For those of you with friends or contacts in Japan, you'll have seen that they're already having an epic season. 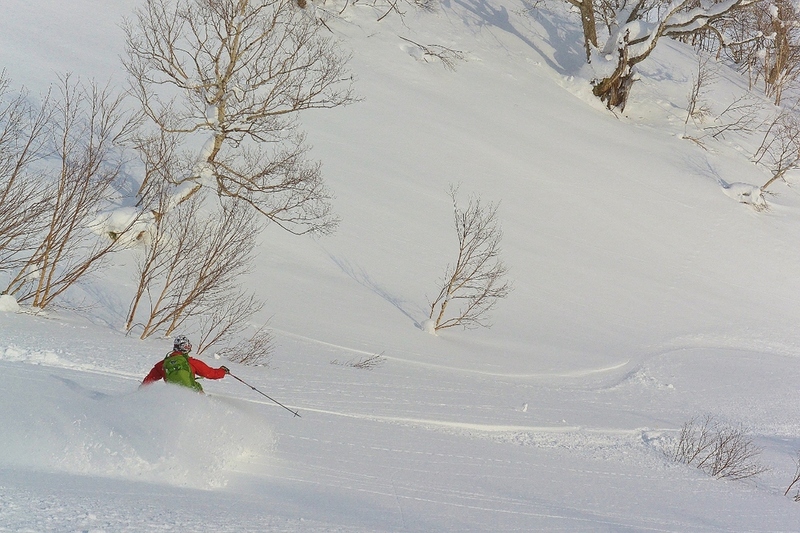 While some of the North American ski areas are just opening their upper lifts, Hakuba had two metres of snow in four days earlier in the month. Two metres. Four days. The mind boggles... Niseko has also been reporting regular dumps, so Hokkaido certainly hasn't been missing out. It looks like Japan is once again living up to its reputation for consistency. Bearing this in mind, I'm sure you can understand that I'm incredibly psyched to be flying to Japan tonight. On the 31st I'll be skiing pow! I can't wait. If you're keen to get in on the action, we're offering three discounted trips from mid-February. Our normal ten day road trips cost $2500, but we're bringing that down to $2200 per person for a group of four people. Plus, we'll knock off $100 each for every extra person you bring. That works out to $1900 each for a group of seven, our maximum trip size. That's an incredible price for ten days in some of the best snow on the planet. Similar discounts apply to our custom-length trips, so get in touch if you want something shorter/longer. Email contact@powder-project.com to choose your dates and lock in your trip now. Places are limited, so get in quick for a great deal!